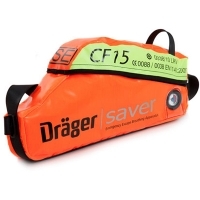 Drager offer the Saver CF15 escape set for protection in a hazardous environment where smoke or toxic fumes may be present. 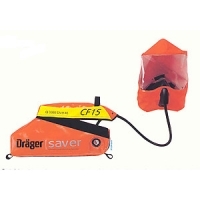 The CF emergency escape device uses an escape hood with positive pressure which provides a continuous supply of breathing air for 15 minutes. Housed in a bright soft bag the Drager CF15 is light and comfortable to carry which is ideal for escaping from an emergency situation. 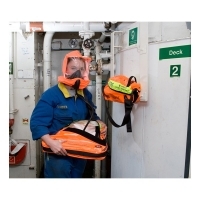 The material used for the bag is highly resistant to flames and can be easily washed and drained. The bag also features a transparent window which allows the pressure gauge on the cylinder to be view without taking it out of the bag. It’s also important to note that this Drager escape set requires very little maintenance over its lifetime and also requires minimal training.